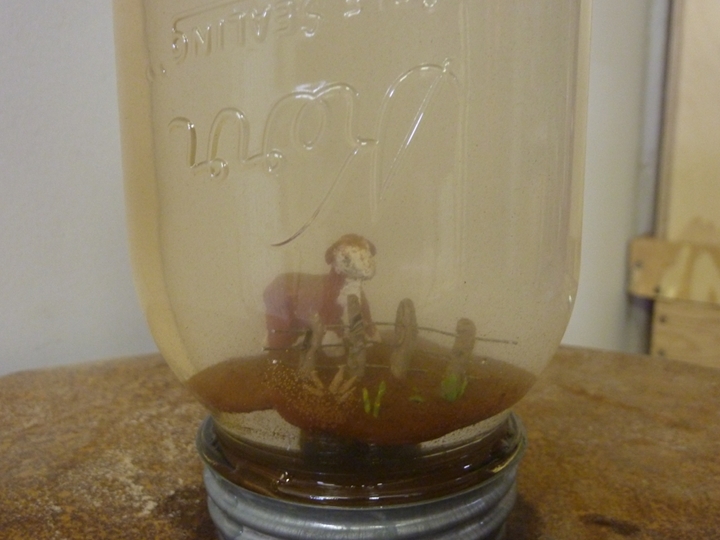 Fenced In; mason jar, water, Wyoming red sand, sculpty clay; 2010. This snow globe I was commissioned to make for a wedding present. I am told it sparked hours of discussion among the family. That is as good a response as an artist could hope for– discussion among in-laws.